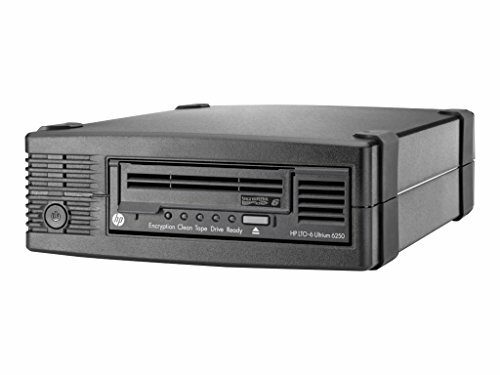 Hp store ever lto Ultrium tape drives represent six-generations of lto technology capable of storing up to 6.25 TB per cartridge, with HP tape assure for manageability, hardware data encryption, HP store open with ltfs for ease of use at an unprecedented performance. With HP tape assure customers can be confident that their data is safe by monitoring drive and media utilization, operational performance and life/health information for drive and media. Data hardware encryption using AES 256-bit provides easy-to-enable security to protect the most sensitive data and prevent unauthorized access of tape cartridges. Linear tape file system (ltfs) is an open format for storing data on tape that makes lto-5 and 6 tapes self-describing and file-based. Capable of data transfer rates up to 400 MB/sec, hp's exclusive data rate matching further optimizes performance by matching host system speed to keep drives streaming, thus enabling the fastest tape performance.